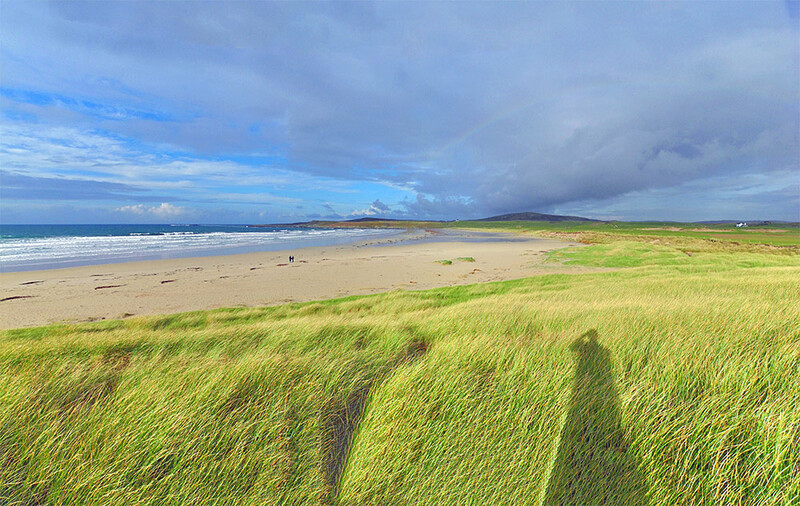 A view north from the dunes at Kilchoman, overlooking the northern part of Machir Bay. Only two walkers on the beach on a November day. Also note the faint rainbow over Coull Farm and Cnoc Mor. This entry was posted in Beaches, Cloudy Weather, Landscape, New Post, Sunny Weather and tagged Cnoc Mor, Coull, Islay, Kilchoman, Machir Bay, Rhinns of Islay by Armin Grewe. Bookmark the permalink.